If you're in the market for a luxury apartment, you're probably prepared to invest quite a bit of your hard earned cash. So, you want something that really does offer a luxurious lifestyle. A swimming pool can do exactly that. Long, summer days spent lazing by the pool, topping up your tan, are still something that figure in most people's dreams of holidaying in France. A lazy swim after a day exploring chateaux and historic monuments? Perfect. Or a quick, energetic few lengths in the morning to set you up for the day? Without having to drag yourself off to a public pool (remembering, of course, if you are a chap, to wear miniscule Speedos instead of the frowned upon swimming shorts you probably prefer)? Now, that's true luxury. Much as we may associate swimming pools with the hot and sunny Riviera, an apartment with a pool can benefit you anywhere in France. Much of the country experiences warmer weather than the UK, so outdoor pools are desirable. But even in the mountain ski resorts, properties with pools are becoming more and more sought after. Although there are those who may argue that a swimming pool doesn't necessarily add value to a property, chances are, it will. Certainly, it should make the apartment easier to sell when the time comes. People who are on holiday see swimming and relaxing by the pool as one of the greatest holiday pleasures. So, they are far more likely to buy an apartment that has a pool than one which doesn't. If you are digging deep into your pockets to purchase a luxury apartment, buying one that's got a pool makes sense. Most potential holiday renters actively seek accommodation with a swimming pool, disregarding those that don't have this facility. So if you are hoping to rent out the apartment throughout the times that you aren't going to be using it yourself, you can't afford to ignore this fact. And, if your apartment is advertised as a "luxury apartment'" it almost goes without saying that renters will expect a pool to be part of the package. 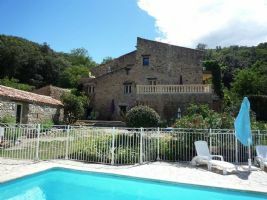 French Property Links (FPL) has many years of experience in helping people like you to find their dream property in France. Working with experienced, trusted estate agents and property experts, FPL is in the perfect position to point you in the right direction. Having a section dedicated to luxury property offers you details of upscale apartments with pools across the length and breadth of France. So why not take a look at properties we've lined up for you? 'La Terrasse' is one of a stunning collection of NEWLY RENOVATED apartments, within a beautifulTRADITIONAL stone Catalan mas,. Beautiful communal facilities including large gardens with woods and a river, a sauna, a gym, a pool, a summer kitchen, a storage unit of around 3-4 sq metres per apartment and a parking space. 'La Terrasse' is a 2 bed apartment withquality fitted kicthen, 2 shower rooms, private terrace, air conditioning, views and plentiful sunshine (floor plan available on request). 'Le Vallespir' is one of a stunning collection of newly renovated 2 bedroom holiday apartments, within a beautiful traditional stone Catalan mas. Beautiful communal facilities including large gardens with woods and a river, a sauna, a gym, a large 11x5m pool, a summer kitchen, a storage unit of around 3-4 sq metres per apartment and your own reserved parking space. 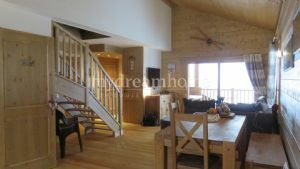 Magnificent apartment of 53m ² + 53m ² of terrace at Le Cernix near Crest Voland village, in the residence Les Oursons a few meters from the departure of 192kms of ski slopes of Espace Diamant. The residence has a covered and heated swimming pool! This appartement consists of an entrance, with storage and separate toilet; serving 2 bedrooms including a parent with shower room and a bathroom (with integrated washing machine). 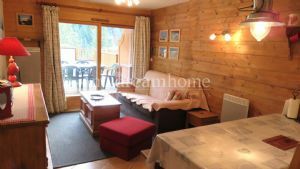 Luxurious 3 bedroom duplex ski flat for sale at the bottom of the slopes in Crest Voland (73590) Savoie. 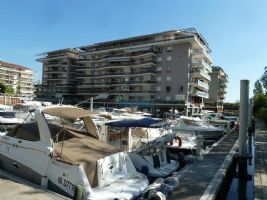 This property of 88m2 is in excellent condition and is made up of: 3 bedrooms (included one en-suite with shower room) 1 shower room and 1 bathroom with wc separate wc living and dining area fully fitted kitchen south and west facing balconie ski locker storage room (cave) garage You have a system to switch on/off your heating from home before you arrive. Easy access by Eurostar, Residence Les Bois du Cerf Etiolles, (Essonne) is situated 30km south of Paris on an exceptional, leafy site, with a wooded private park of 42 hectares with swimming pool, tennis courts, playgrounds and 24h security. 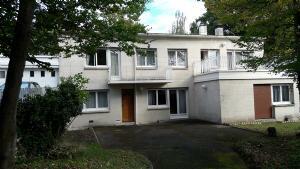 8 room duplex apartment with 172.78m2 living space with its own 648m2 of land. Separate fitted kitchen, triple living room + fireplace, 5 bedrooms (access to 1st floor by stairlift for those with reduced mobility). Some furniture may be left if desired. 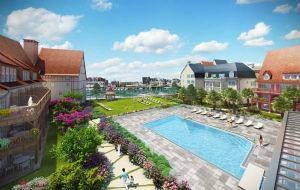 A prominent property development in Deauville consisting of new apartments with Spa, swimming pools and 5-star hotel service, all set in a stunning location between Deauville and Trouville. 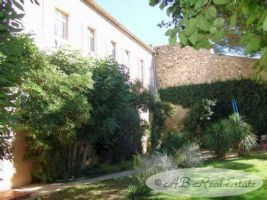 This elegant and very unusual apartment, actually it is more like living in a house, is located in the heart of the renowned historical town of Narbonne in Languedoc Roussillon, Occitanie, South of France, and offers very pleasant views and a totally private garden insuring perfect tranquillity. Restored with a lot of care and delicacy, this large and luminous apartment boasts a decoration and design of the highest standards and has all assets one could wish for. 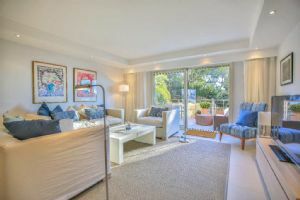 This beautiful 3-bedroom apartment, which offers 159sq m of living space, is located in a luxury residence in Theoule sur Mer. It provides a spacious living room, 3 bedrooms, 3 bathrooms, 3 WC, fitted and equipped kitchen, larage terrace (31sq m) and double garage. Quick viewing recommended. Only 10km from Cannes. Cannes is a sunny enchanting place that was once a humble fishing hamlet but has grown into being a glittering star of France.